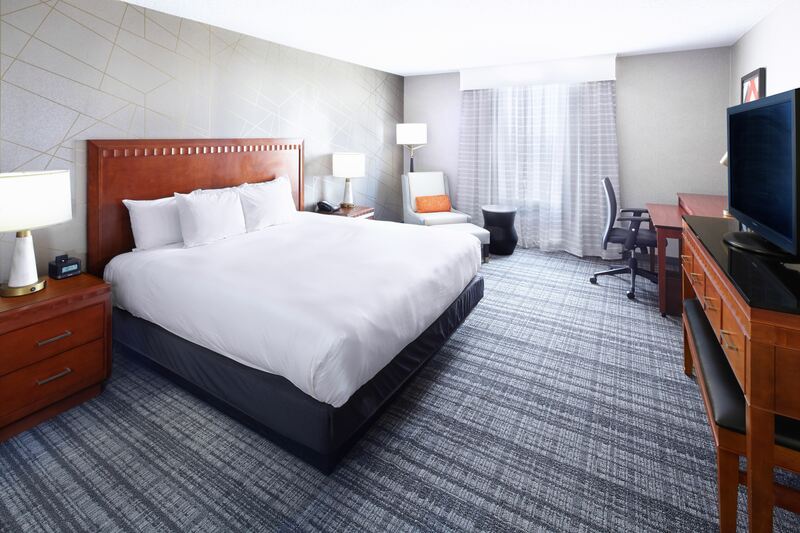 Conveniently located in the North Dallas business corridor in the upscale shopping and entertainment district, the DoubleTree Dallas near the Galleria offers newly refreshed accommodations, impeccable service including our signature DoubleTree chocolate chip cookie warm for your arrival. Guests can take advantage of the fitness center, outdoor heated pool, running trails and dining options featuring The Chef’s Table, Terrace Bar & Grill, Cyber Cafe, and Main Market. The hotel offers over 30,000 sq. ft. of flexible meeting spaces for events, weddings, meetings and receptions up to 1,000 guests. We invite you to discover why this upscale hotel, located in North Dallas is a great destination for business travelers and vacationers. The DoubleTree Hotel Dallas Near the Galleria offers exceptional value and consummate service. The superbly decorated 290 deluxe guest rooms combine comfort with luxurious style. Club accommodations are on two floors. The Chef’s Table features New American cuisine and offers exceptional menus for breakfast, lunch and dinner that will please all tastes. The Terrace Bar & Grill lets you relax ‘and’ in the evening with tall, cool beverages while enjoying the sights and sounds of a tranquil lobby water feature under a sloped glass ceiling. Cyber Café offers to-go items and Starbucks. From the executive floor to four-star fare, the goal is to make your meeting more productive and more comfortable. DoubleTree offers more than 30,000 square feet of meeting space, including a 7,350-square-feet ballroom, boardrooms and the Garden Terrace room, perfect for all of your receptions. Groups of all sizes will utilize full-service audiovisual services with state-of-the-art equipment and highly trained technicians.